How can our solutions help your business? 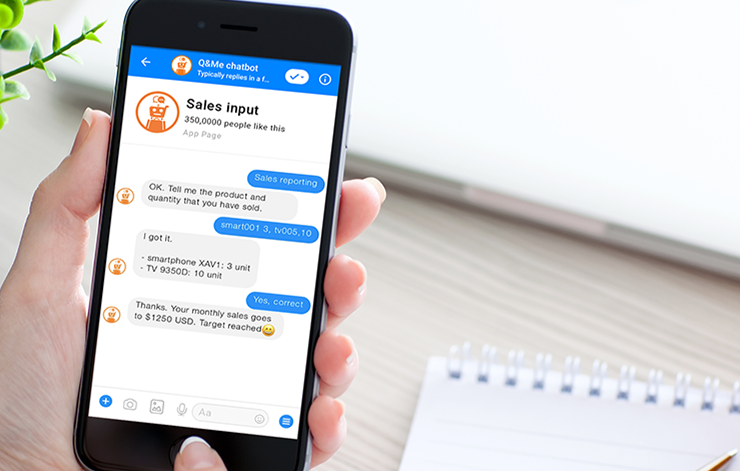 All you need to do is just type in and send the product code and quantity over Facebook Messenger. The system will then take the information and reflect it as sales trend data in real-time. 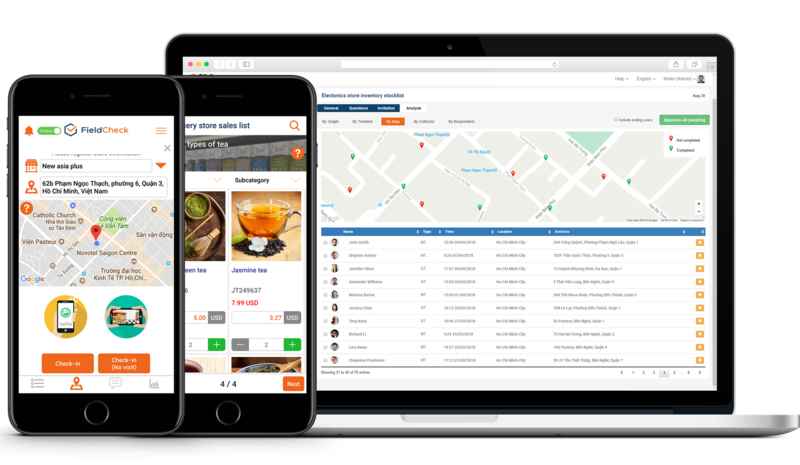 Track the locations of your staff easily by taking advantage of check-in's and check-out's. 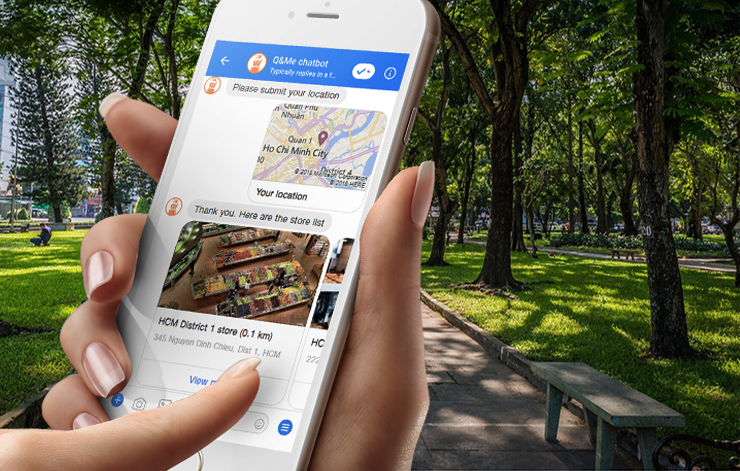 Prevent fraudulent activities with the use of chatbot's GPS features. Real-time retrieval of staff performance details and measures with usr-friendly graphs. Managers are able to see staff and store information with flexibility. 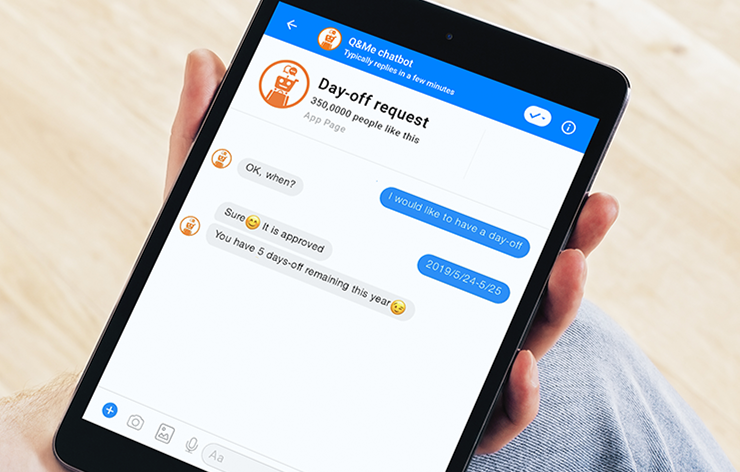 Manual-based, day-off requests are turned into a hassle free request and approval process via the use of Facebook Messenger. 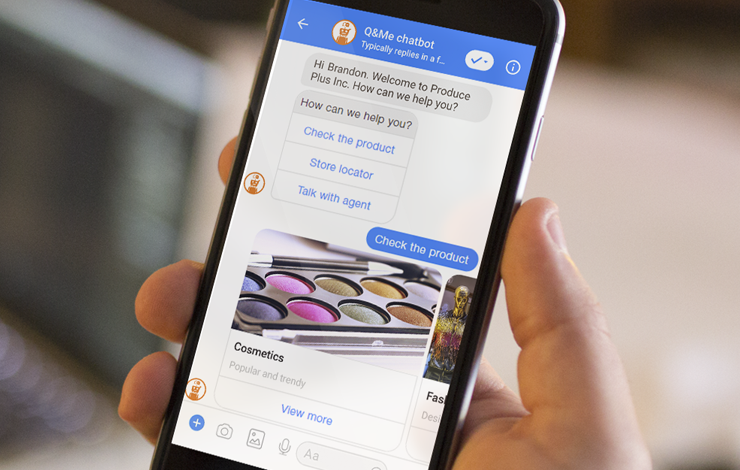 Allow us to turn your Facebook Messenger into smart sales support to introduce your products. 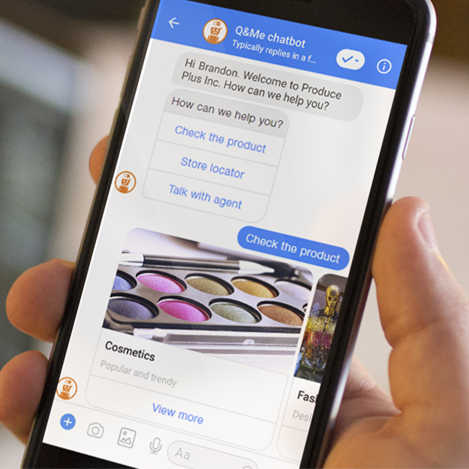 Chatbot returns relevant products based on consumer preference just as if it were a natural conversation. Direct them to your website to connect simple inquiries into product purchases. 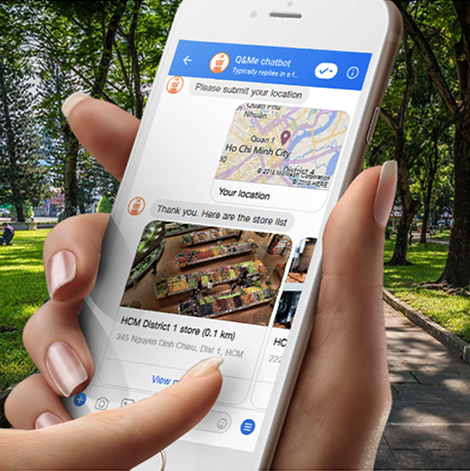 For retailers, one of the most common reasons why consumers come to your Facebook page is to find your store locations. 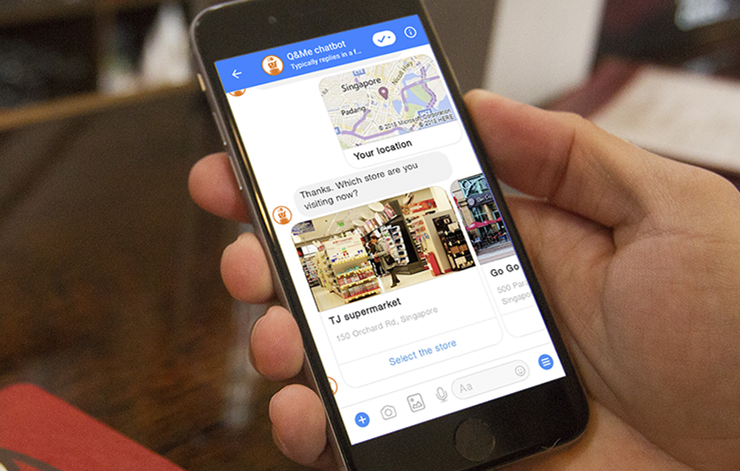 Chatbot provides a list of nearby store locations based off users’ current locations. 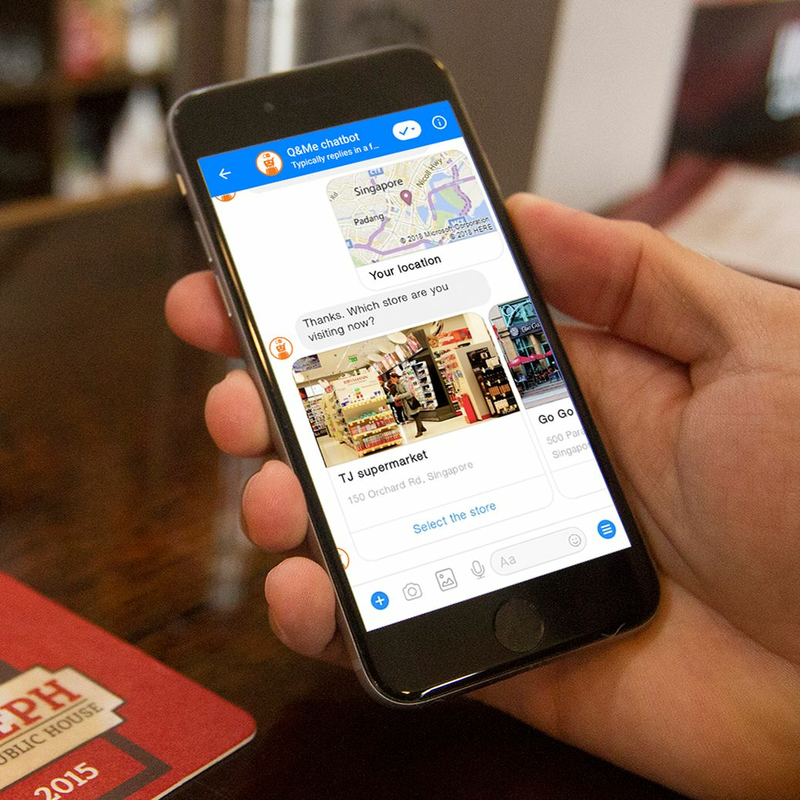 You are also able to push coupons to these potential users via Facebook Messenger. 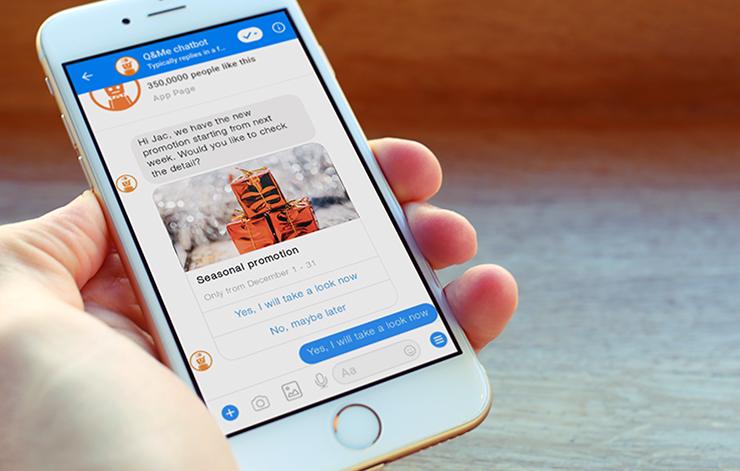 How Can Chatbot Benefit You? Say good-bye to traditional pen & paper methods. 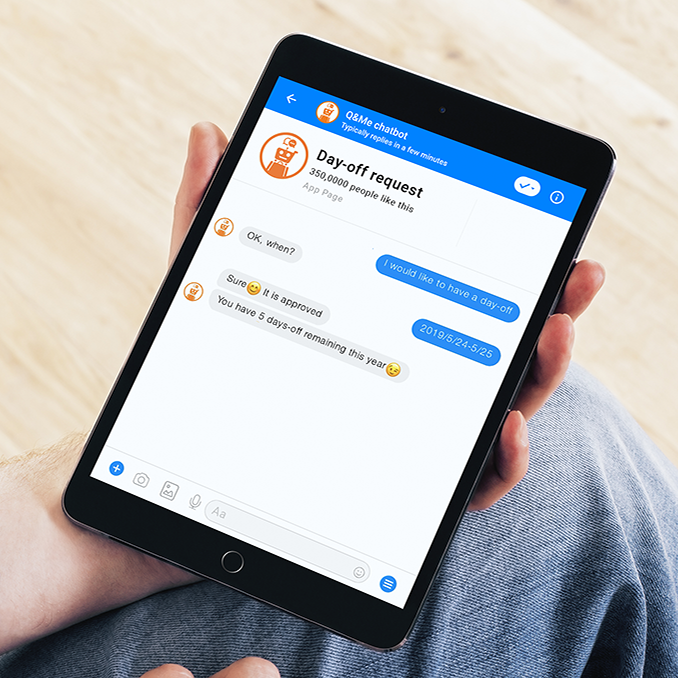 All of your reporting is done just through type-ins or communications via Facebook Messenger. No need for a separate storage-space-eating mobile app. 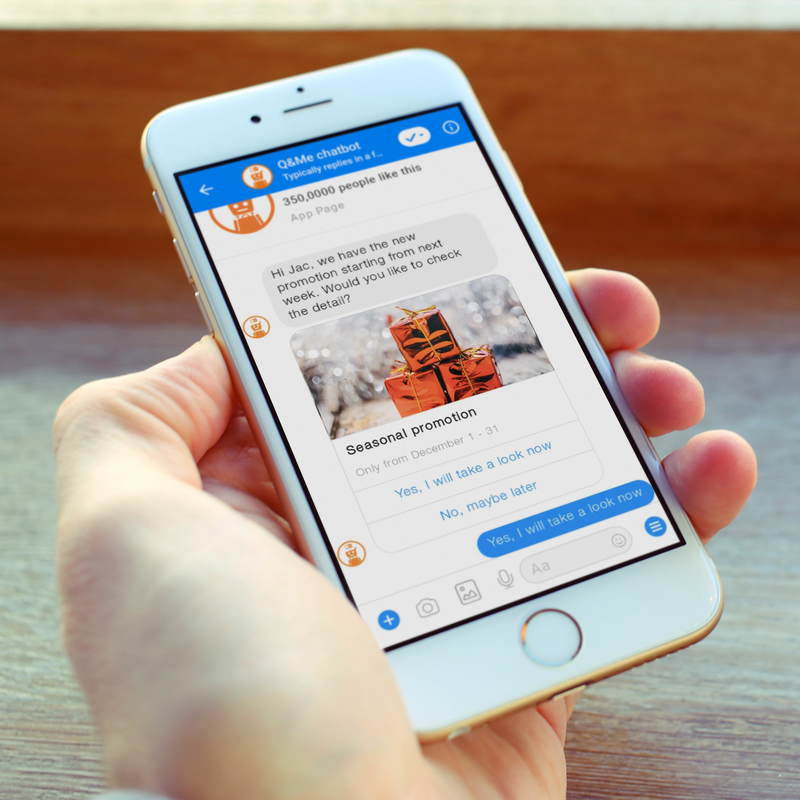 Turn your already installed Facebook Messenger into the strongest business communication tool. 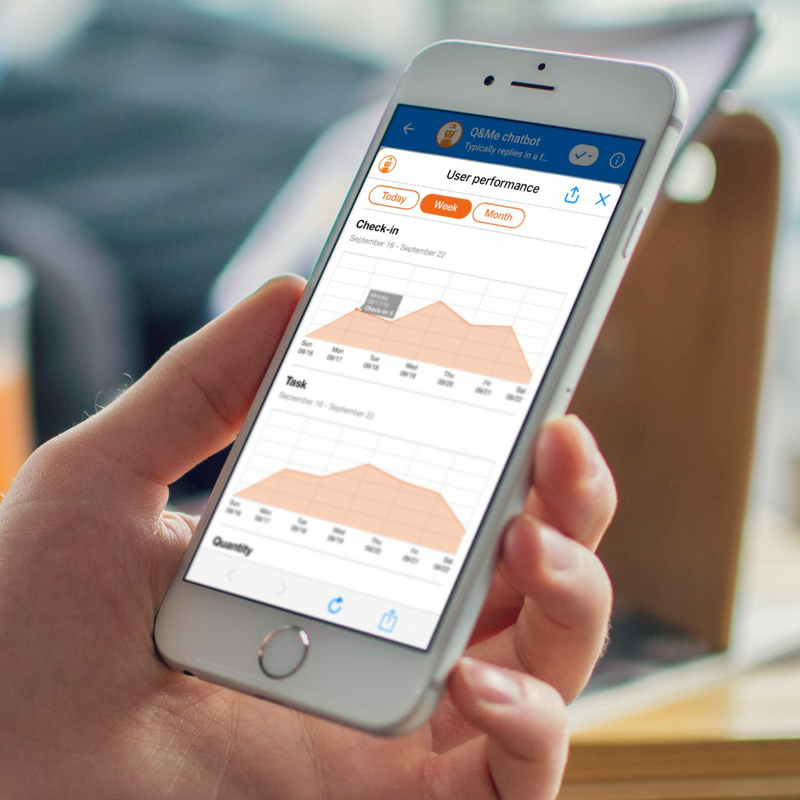 All sent-and-received data is analyzed real-time in our platform to give intelligent advice for higher productivity. 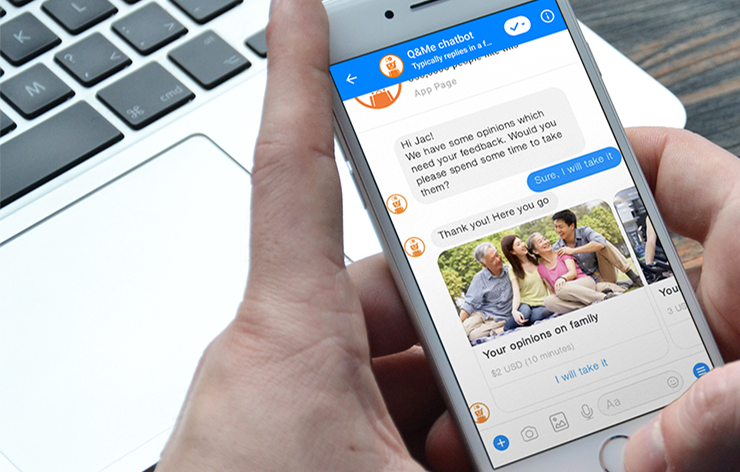 All chatbot communication will be reflected in Q&Me's superb analysis tools to provide the intelligence you need for your business decisions. No additional app installation required. 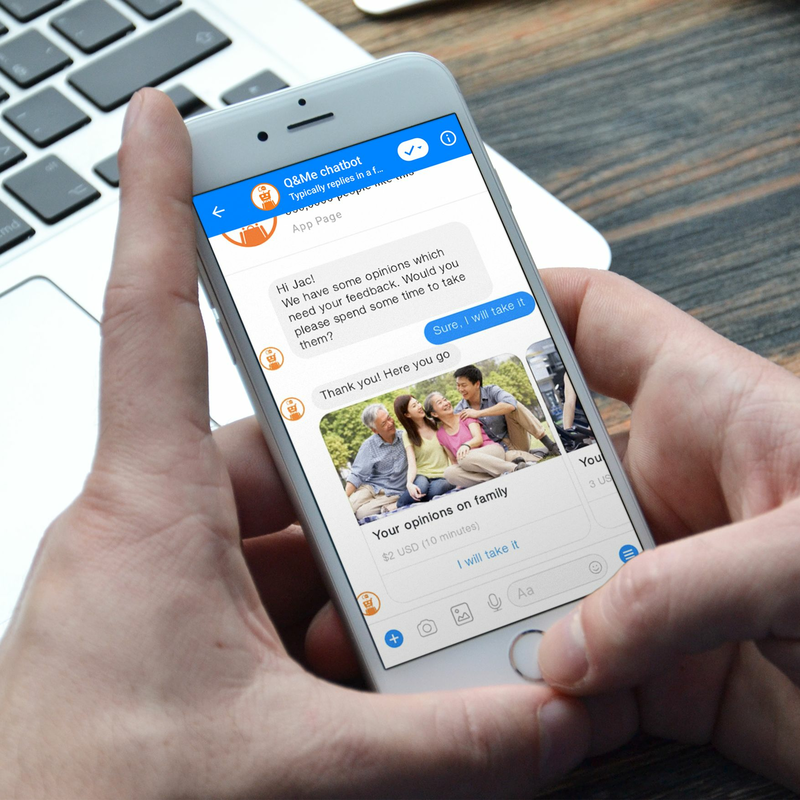 Turn your most commonly used messaging application into the best business tool. 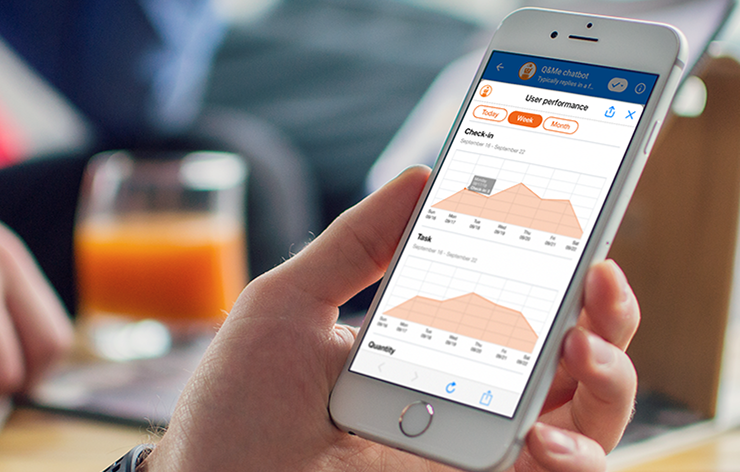 Support complicated operations with our user-friendly mobile application. Available for both iOS and Android platforms. Interested in knowing more details? We would be happy to give you more information about the live demo over the phone. Let Q&Me Retail assist you in elevating your sales operations to the next level. 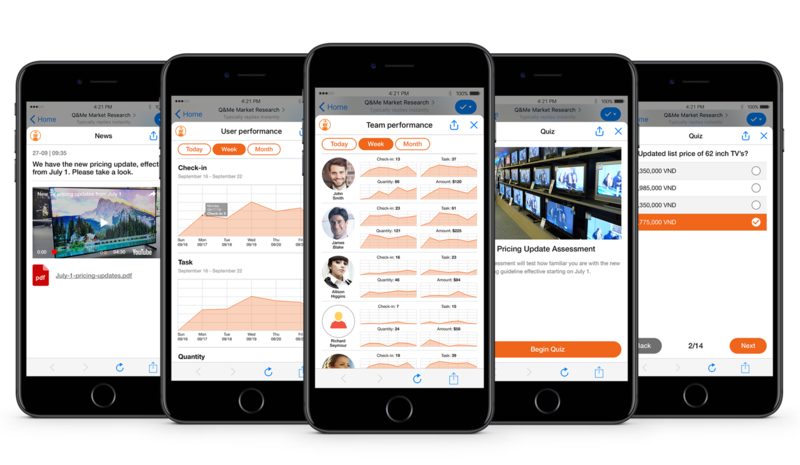 Q&Me is the mobile field management tool to make the sales and marketing operation better with mobile technology, with superb mobile application as the field data collection and task implementatin tools and administrator tools for effective analysis and management. 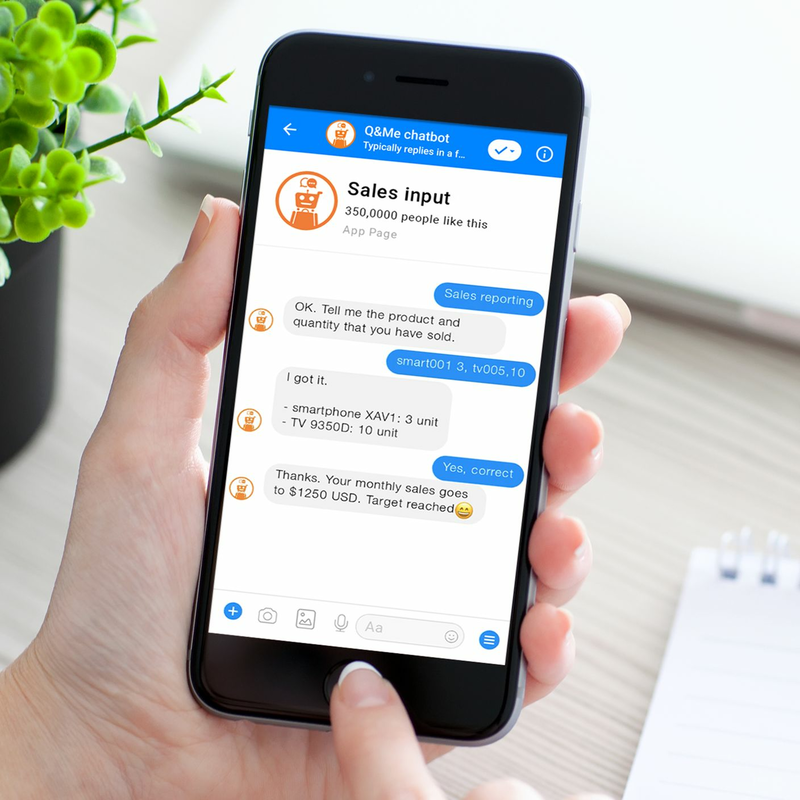 Q&Me is the indispensable tool for sales, promoter, merchandiser, retail audit.